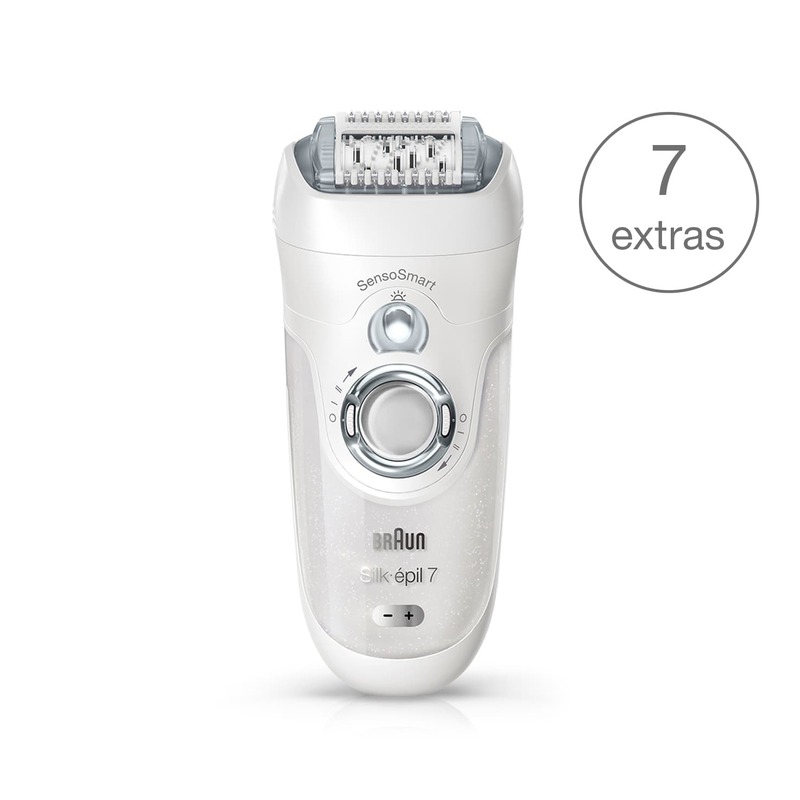 Silk-épil 7 SensoSmart™ 7/880 Wet & Dry epilator with 7 extras incl. shaver head. The SoftLift® Tips effectively lift even flat-lying hair and help guide them to the tweezers for removal. Charges in only 2 hours for 50 minutes of use. Use cordless in shower or bath.